Does Responsive Web Design Hurt Search Rankings? Responsive web design (RWD)—the development approach of creating a single version of a site that is able to scale proportionally to various screen sizes—has emerged as Google’s official best practice for mobile-optimized pages. What does this mean for publishers? Should they abandon their separate mobile sites in favor of RWD? How does RWD impact search engine optimization (SEO)? Mobile Sites vs. RWD – While responsive web design is now Google’s best practice recommendation, Cutts says this doesn’t necessarily mean that publishers need to abandon their separate mobile sites. A distinct, lightweight mobile-optimized site is fine as long as the webmaster takes the right steps to annotate the pages. In particular, publishers who plan to maintain unique desktop and mobile sites need to properly utilize the rel=“alternate” and rel=“canonical” tags. 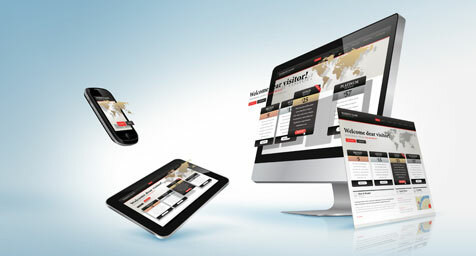 Integrate responsive web design into your mobile marketing strategy. Contact MDG Advertising. MDG Advertising is a full-service advertising agency and one of Florida’s top branding firms. With offices in Boca Raton, FL and New York, NY, MDG’s core capabilities include branding, logo design, digital marketing, print advertising, email marketing, media planning and buying, TV and radio, outdoor, newspaper, video marketing, Web design and development, content marketing, mobile marketing, social media marketing, and SEO. To stay on top of the latest trends in native advertising, contact MDG Advertising today at 561-338-7797To see why responsive web design is becoming an important trend in website design and development, take a look at “Three Reasons Why Responsive Web Design is Responsible Web Design.”.